Despite labouring over the 4 pages of notes I took during their talk, I really can’t add anything new to their original message, so please watch the presentation if you haven’t already seen it! The speakers agreed to being recorded, and the podcast will soon be available on the SLA Europe website. Bethan and Jo spoke to the group about Voices for the Library. This new group is working to promote the value of libraries – add your voice to their campaign. Focus more resources on the ‘currently indifferent’ part of your demographic to make best use of your advocacy energies and resources. Networking with Twitter friends – and here, the value of using a profile picture that resembles you is a major bonus, as people come to say hello and ask if I am @laurajwilkinson, so making introductions is suddenly much easier! 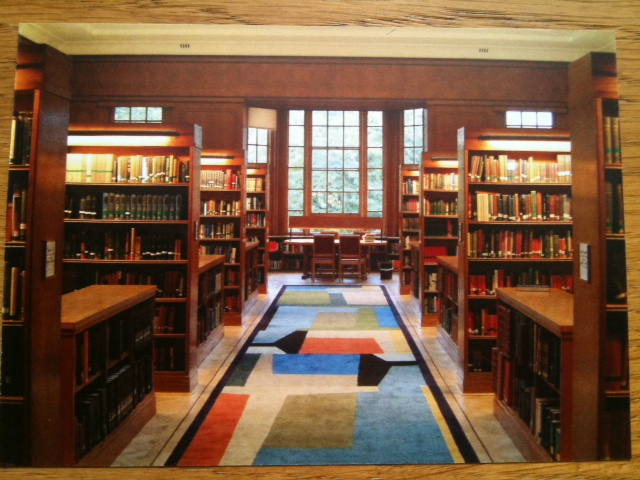 The academic year at Oxford starts in a few weeks’ time, and I am preparing library welcome packs for all our students. Each pack contains a library bookmark, badge and map of all Oxford libraries. 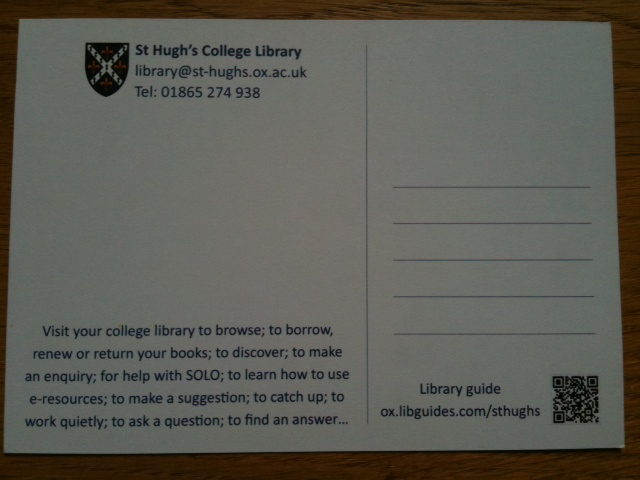 The bookmark includes contact information for the library, opening hours and details of the lending rules. There are 16 different badges. Each one has ‘St Hugh’s College Library’ around the edge and one larger word in the middle, e.g. Borrow, OxLIP+, SOLO, Browse, Enquiry, Citation. The aim is to familiarise the students with the vocabulary of the library, and I hope it will also generate a buzz as people compare badges with their friends and work out what all the terms mean. All sessions are running twice this summer, in July and August. The aim of Summer Camp is to act as a catalyst for library staff to build on what they learned in 23 Things by developing a social media presence for their libraries in time for the start of next term in October. I co-ran the Strategy sessions with my colleague Alison Prince, and this post will be a summary of what we covered. 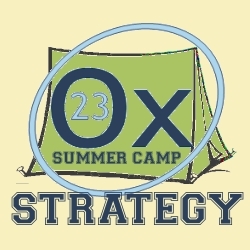 The other two Summer Camp themes were Setup and Synchronisation. The setup session was there to help people get started with their social media tools, and the Synchronisation slot showed people how to syndicate content and have, for example, a Twitter account feeding a Facebook page account, or display Flickr pictures on a blog sidebar. Whichever tools you use, start off with the following questions: who is your audience? What will your content be? How will the tool be maintained? When will it be updated? Where will you focus your presence [which tools/sites will you use]? And why will you be doing it at all? When considering how to approach a social media presence for your library, it is important to start by considering your strategy. Many organisations are starting to use social media as a way of engaging and communicating with their users. The key benefit of social media is communication: it gives an informal way of interacting with your users and allows both parties to contribute. Some people worry that this will open the doors to a flood of complaints or otherwise unwelcome comments, but in fact it gives you a wonderful chance to reply to their concerns: they may be misconceptions which you can correct, or they might give you ideas for developing and improving your service. You could also consider how using social media can help you support the strategic aims of your organisation. Having considered why you are looking to begin this social media journey, let’s move on to considering the Who, What and Where: audience, content and tools. Depending on your library, your audience may be large or small, homogenous or varied. Your audience may consist of undergraduates, postgraduates, academic staff, alumni, library staff, external visitors, the media, tourists and a range of random other people. These segments of your audience may be seeking different information from you. You could run a series of posts e.g. tip of the week, staff book recommendations. It helps to plan your content ahead of time so that even if it’s a slow week on the news front, you still have something to post about. There are many social media tools available. Some of the most well-known are Facebook, Twitter, blogging (e.g. Blogger, WordPress), Flickr, LibraryThing, social bookmarking (e.g. Delicious). Next, you need to decide which social media sites work well for the content and audiences you have identified for your library. For example, interactions on Facebook tend to be mutual, and are more intimate than those on Twitter. For a college library like mine, where there is a strong sense of community, Facebook is likely to work well. However, because Twitter is a more open community, it works well for reaching external users. Regarding content, if you want to involve pictures in your strategy, Flickr will be much more useful to you than LibraryThing. But if you have a lot of links to share, a social bookmarking tool such as Delicious might be perfect for you. Consider the outcome of these points above: hopefully you should now be able to identify which tools you will focus on, what content you will publish on them and which audiences you will be trying to attract. 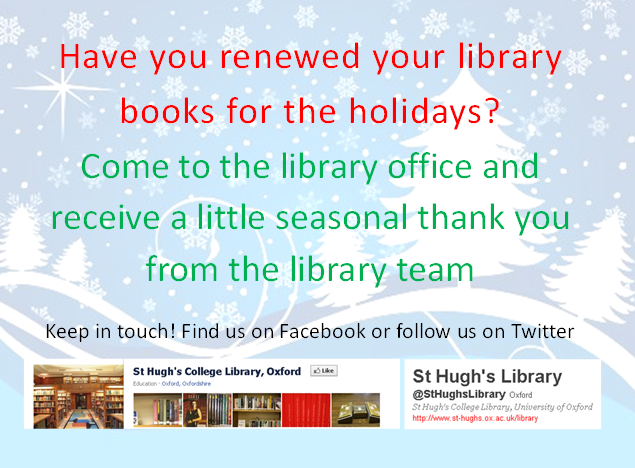 You can also build this in to your library’s marketing materials by including ‘Find us on Facebook’, ‘Follow us on Twitter’ or similar signposting. You could deliberately segment your approach by marketing one of your social media tools to your postgraduate audience and another to your undergraduates. If some of them join in with both, it probably won’t matter, but you can use a different approach on the two tools which are geared to the needs of each group. Admins and logons – keep these generic. Use a library email address that is not specific to a person to set up your tools e.g. library@university.ac.uk. Otherwise, once the person who set up the account moves on to another job, you may not be able to remove them as an admin. Keep a record of usernames and passwords in your staff manual. House style and editorial considerations – decide early on what standards you want to establish for tone/familiarity, spelling, brand identity (e.g. use of your organisation’s logo and approved font), proofreading, if any topics are off-limits. Approval process – do posts need to be approved by a second person who will double-check the house style? Approval from a senior person may be necessary for information which could be controversial or sensitive. Day-to-day issues – how often will the content be updated? By whom? If someone comments on your page, it is important to reply promptly, so someone needs to monitor your sites daily to pick up and respond to feedback. If any of the feedback is negative, a response may need to go through an approval process as outlined above. Success measurement – how will you know if your efforts have been a success? Decide on a trial period: perhaps a term, semester or other period of a few months. Choose some targets. Gaining 50 fans (people who have ‘Liked’ your page) on Facebook may be a modest target for some, and ambitious for others, so bear in mind the size of your potential audience and adjust your expectations accordingly. Other things you could measure include: number of RSS subscribers (e.g. using Feedburner), number of followers, @ replies or mentions (Twitter), number of hits or page views (blogs, LibraryThing). In addition or as an alternative, you could carry out a quick survey asking your users if they have used any of your social media tools, and whether they found them valuable. After your trial period, review your targets and decide what to continue with from there. You could try setting up a presence on many tools to begin with, then narrowing that down after your trial period when you can see which ones have been the most popular. By now, you will have all you need to get set up and synchronised! I have found that many people expect building their social media presence to be time-consuming. Of the list of content above, I hope you will agree that much of this content already exists (probably on the library’s official web page) and the rest is a good example of the type of information we should be communicating to our users. So I would argue that building this presence will mostly involved doing what we are/should be already doing, and just putting this content in more places so that people can find it easily and interact with it. Be bold: give social media a go, and whatever the outcome, it is good to have tried. If you decide not to continue using a tool after the trial period, you don’t need to close it down, just add a last post saying that the site is no longer being updated. See also: Risk, failure and success. Good luck with your social media adventures!